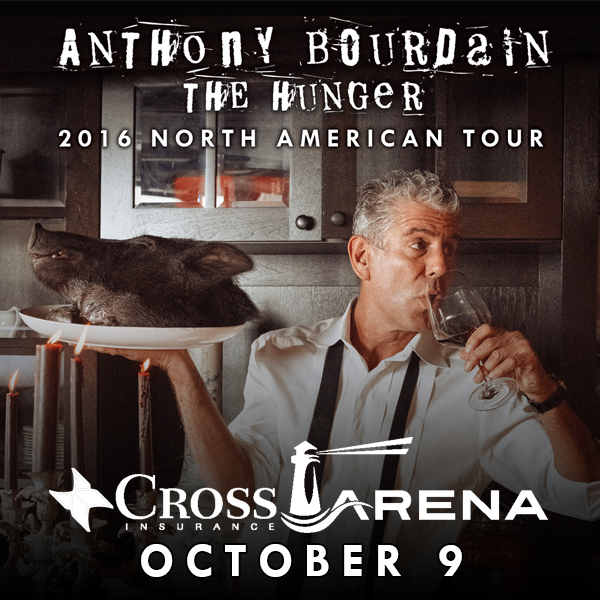 On Sunday October 9th at 6 pm, TV personality/author/chef Anthony Bourdain will be bringing his 2016 North American tour, “The Hunger”, to the Cross Insurance Arena. General ticket sales start Friday May 6th at noon, but if you want to be guaranteed the best seats available, readers of Peterpeterportlandeater.com can purchase tickets at the presale starting Tuesday May 3rd at 10 am through Thursday May 5th using the presale code HUNGRY. This is a great opportunity to see an internationally recognized mover and shaker in the food world, so get your tickets before they sell out. Hope to see you there! This entry was posted in Portland, ME food on May 3, 2016 by peterpeterportlandeater.